Rechargeable Headlamp: Which one is the best? Before rechargeable headlamps came around, people used oil lanterns when they went camping or hiking. While lanterns, as a source of light, were fit for purpose, they also had a couple of disadvantages. For example, they're not compact or multipurpose. We can overcome these shortcomings in today's world, where there are not only electric lamps, but they are rechargeable, super-compact, and hands-free. With modern rechargeable headlamps, you can even adjust the intensity of the brightness to suit your requirements, since you may not need the same level of light in every situation. Rechargeable headlamps have different features, options, and price points. We're going to tell you which headlamp we think is the best rechargeable headlamp for anything from home use to camping and hiking, and we'll show you alternative options at the end. So which headlamp is the best rechargeable headlamp on the market? 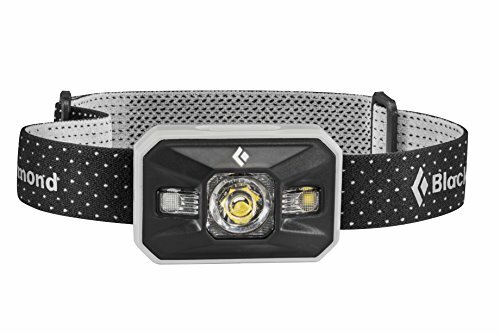 Imagine a headlamp so powerful, it's like a Maglite strapped to you head. It runs on the latest CREE LED technology and will burn pupils with 1200 lumens in brightness. No wonder people call it bright! The CREE LED lightbulb is powered by a 6400 mAH rechargeable and a waterproof battery. 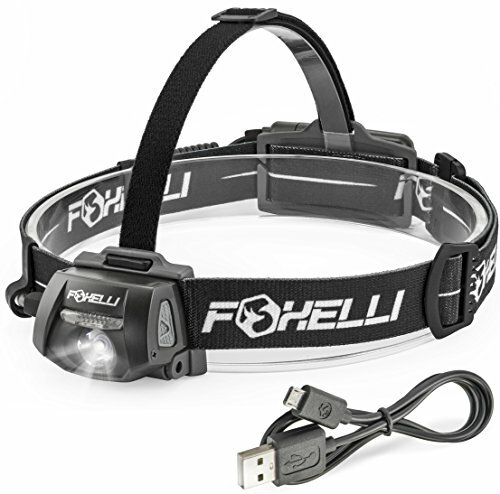 This rechargeable headlamp will never let you down, even in the most adverse conditions. This rechargeable headlamp is not a sprinter, it's a marathoner. It keeps running for 3 hours on high, 5 hours on medium, and up to 26 hours on low. I've only ever used the battery fully once. 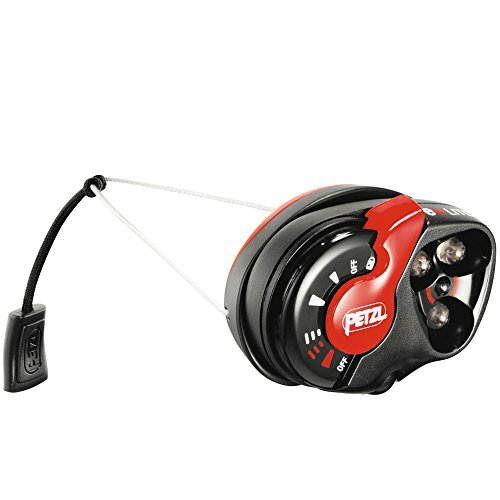 This rechargeable headlamp also includes a strobe mode for your party needs or as an SOS to ensure that even during the day time you are seen. Okay, enough said. What is the name of our favorite light and where can you purchase it? Please note that the manufacturer has updated the design of this headlamp since I first bought it, but it's the same headlamp, just upgraded and better than ever before! I originally bought this headlamp 4 years ago for my mountain bike and while it IS a great LED headlight for a bike, I've actually have used it way more for camping and hiking as a rechargeable headlamp. The thing I like most about it is how versatile it is. With other brands, you have to shop separately for accessories. But the Bright Eyes 1200 Lumen set contains all the accessories you need including a stretchable head strap which helps you to mount the light on your helmet, hat, or head. It also comes with a bike mount and an AC power adapter for the rechargeable batteries. The makers are so confident about their product that you get a lifetime guarantee on the headlight and a full 1-year warranty on the battery. This is what makes the bright eyes headlamp our choice for the best rechargeable headlamp to buy for hiking, biking, and camping. It's also great for walking, running, hunting, fishing, and just trekking in general. 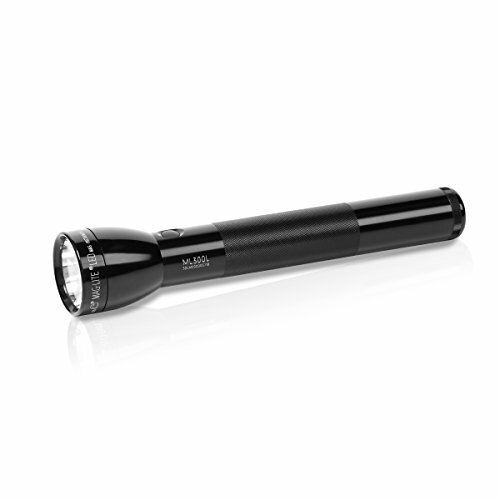 It's the best bang for your buck; it has the most lumens and the longest battery life. This multipurpose headlight is loved not just by us, but by campers, bikers, and hikers all over the world. Just go check out the reviews on Amazon! The battery lives externally to the headlamp. I just place the wire through the band on the back of my head and snake it down behind my shoulder and put the battery in my backpack, jacket, or pants pocket. It's never been a problem! P.S. 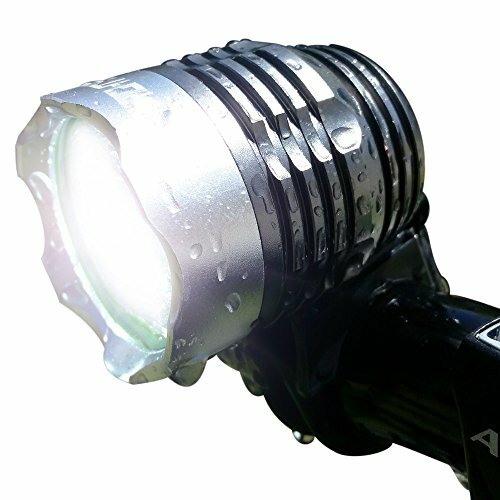 Below is my favorite flashlight!